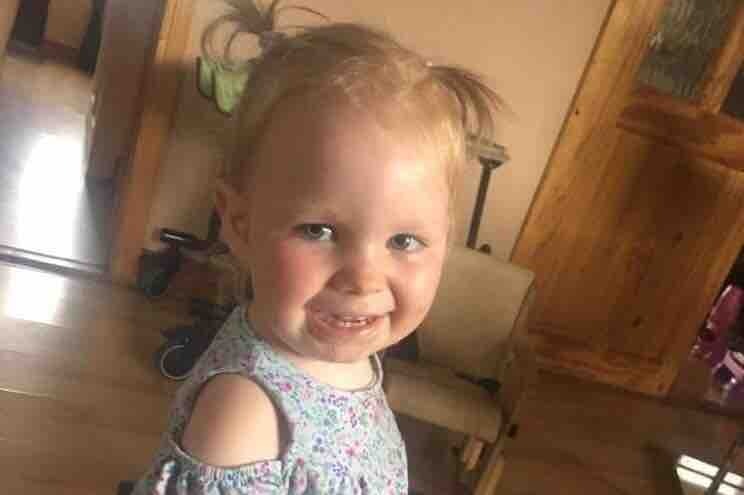 This is a campaign to raise funds for Zoe Murphy Bannon from Dundalk, Ireland. Zoe was born a healthy baby at 42 weeks gestation weighing at a healthy 8lb, no complications during delivery. Zoe was discharged from hospital the following day to start her new life with mum, dad and her 3 amazing excited big sisters. At 6 months old Zoe's mum had huge concerns regarding Zoe's development, Zoe was not able not hitting the normal milestones for her age, Zoe was unable to sit unaided, support her own head, roll over, she made no attempts to crawl, Zoe seemed to be in constant pain which her parent and her GP put down to colic. By 9 months old Zoe was still not meeting milestones so her mum again voiced her concerns where she was told not to compare Zoe to her siblings. Lynda Zoe's mum pushed harder to get her concerns heard so her GP referred her to a pediatric doctor who requested a hip x-ray. The X-Ray revealed Zoe had left hip dysplasia meaning her hip had not formed into the socket and was completely dislocated. at 10 months of age Zoe got hip surgery and was placed in a spica cast for 19 weeks, Zoe spent her 1st birthday in the cast. At every appointment Zoe's mum Lynda beg the specialists to look passed the hip issue and look further into Zoe's health as she believed the hip problem was just a symptom of much worse! it was only when Zoe came out of the spica cast and still not meeting any milestones that the professionals decided to do more tests. An MRI of the spine and brain was ordered but a mixed up with records meant the 40 min MRI was just of the spine, This MRI showed a curve at the top of her spine and it also meant back on the waiting list for another MRI of the brain, which Zoe's parents knew would hold the key to her issues. Zoe smiled through every single appointment and sat happily smiling at her sisters but got to a point she wouldnt let anyone other than mum and dad touch her. Zoe's parents got increasingly concerned because Zoe aged 18 months could still not sit unaided, roll, crawl, stand or even eat solids so they opted to go privately with a neurologist who got the MRI order. This is when the devastating realization hit. Although her parents feared it, getting the diagnosis of PVL brain injury causing spastic Quadriplegic Cerebral Palsy broke her parents into a million pieces. What now? . Neurologist warned that because she was still unable to sit unaided at her age that walking was probably not going to happen. The pain Zoe had been experiencing in her short life was evident what was put down as colic pains was in fact her muscles spasms and tightness, her hips were dislocated because the tight muscles around them were pulling her hips out of the socket. Her older sisters are all dancer so the thoughts of Zoe not joining in with them was heartbreaking Zoe's family grieved! grieved for the baby they thought they would have, grieved for Zoe's future, grieved for themselves and the next little dancer in line. All the time the family grieved, Zoe smiled it was then when the family realized her body might be letting her down but she was the happiest wee girl and even through everything Zoe smile would light up the room. The family set about doing everything and anything possible for their beautiful happy daughter, they stopped thinking of things she wont do and focused on what she will achieve. the family have sought a private physiotherapist who works with mostly cerebral palsy children and have worked so hard to get Zoe to reach her best potential. 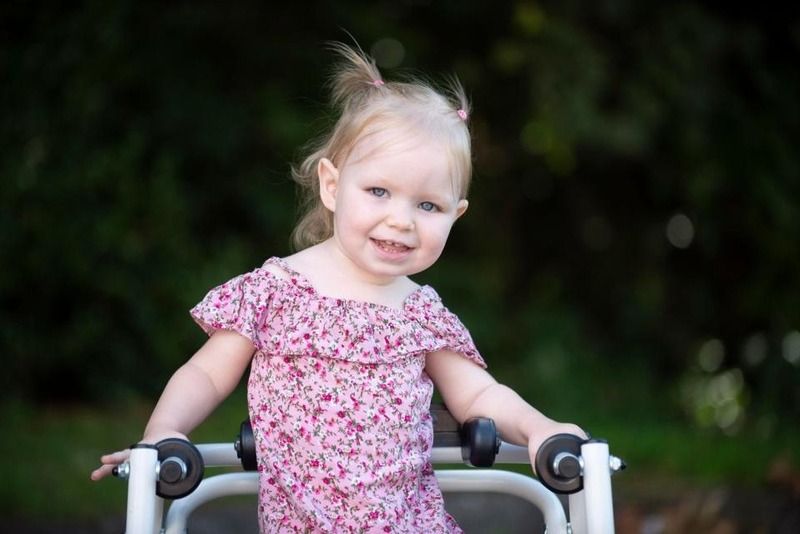 Zoe's family hear of American families using CBD oil to help their children with cerebral palsy, so after getting in contat with CBD network Ireland the family were able to obtain the strength of pure CBD oil that would benefit Zoe . It was an easy decision to make using the oil because of the stigma in Ireland regarding the oil but after mum Lynda tried the oil herself and reaped the benefits for her IBS and anxiety they decided to go ahead with the treatment for Zoe. within two weeks the improvements were huge, and now between the private physio sessions and the benefits of CBD oil Zoe is not taking steps with a walker, sitting up unaided, bench sitting unaided, rolling over, and learning sit to stand. on top of all this, Zoe's eating solids perfectly and no longer has bowel issues, but the biggest improvement since the CBD oil is Zoe ability to speak and communicate. Zoe is now a happy 2 year old girl who makes everyone smile with her big bright smile, she can now talk and can communicate when shes in pain and can ask her parents to rub her sore legs and shoulders when the muscle pain gets too much. She is the most clever 2 year old we have ever seen, there is nothing that gets passed her and she knows how to get her own way, she sits with watching her sisters dance and her arms are up for them to lift her so she can join in and she does the best she can. Unfortunately its just her wee body letting her down now. Following research on Zoe's condition the family discovered a life changing operation called Selective Dorsal Rhizotomy (SDR), this procedure treats the muscle spasticity caused by abnormal communication among the brain and spinal cord, nerves and muscles, the procedure involves cutting the rootlets in the spinal cord that are sending abnormal signals to the muscles, this is not a cure for cerebral palsy as unfortunately there is none but its a very effective treatment that takes major work post op to build the body back up and continue working hard to regain muscle strength. This surgery is available in St.Louis Missouri preformed by Dr.Parks for over 34 years on more than 3,000 patients. In 2010 Dr. Goodden studied SDR surgery along side Dr. Parks and in 2012 moved backed to the UK and now the procedure is available in Leeds with over 70 patients availing of the surgery so far. Ireland send suitable candidates from Ireland to Leeds for this surgery and so far 20 children have been successful. Zoe however will not be a suitable candidate for Leeds as the criteria differs to that of St.Louis. Zoe will not get referred due to her orthopedic issues and the fact that she has quadriplegic cerebral palsy. Zoe's family met with Dr. Parks in April who advised SDR would be brilliant for Zoe and it will help her walk and change her life for the better, In April he advised us to build up her muscle strength and her family have worked so hard on this since and now Zoe is exactly were she needs to be.Dr. Parks advised the best time for the surgery would be between 2-4 years old as it intervenes before more deformities and also gives her the chance to recover while still young and begin her new quality of life at a younger age. Now the hard part, this surgery comes at a big price for Zoe's family, one they cant possible manage on their own. The surgery and post op physiotherapy is costing €100,000. We need to help raise these funds within the next 24 months, its a lot of money, but to give this beautiful girl a pain free life and hopefully the chance to walk in the future is priceless. We are calling on local businesses in Dundalk and surrounding areas to maybe organise a cake sale, Xmas jumper day, bucket collection or anything at all that could give Zoe a chance.